The Top Best WordPress WP Plugins to Use for Best Blogging. Confuse on choosing the right WordPress plugins to use in your blog? Then this article is meant for you only. WordPress Plugins plays a great role in increasing the function and usability of blog. Most bloggers even me too at first gets confused on choosing the right Plugin and fail to fulfill its requirement. The reason why I’m so madly for WordPress is its wide scope to improve its function through Plugin but for this we need to choose the correct Plugin as per needs. 1.WP Super Cache: – As name says it Caches and generates static HTML file from your WordPress blog. Caching helps to load faster while taking less CPU processing and thus makes yours blog respond faster. It should be noted that Google considers the site speed as one of the factor for Google PageRank. So, without much taking time get ready to install and activate it. 2. All In One SEO: – Simple but effective. Lots of great SEO Plugin (like yoast SEO) are available in WordPress now but I highly recommend this Plugin for new blogger. It optimizes the post title and helps to resolve the duplicate content issues and lots more. 3. 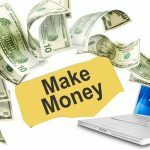 WP-PageNavi: – This Plugin removes those old boring “Older post” and “Newer post” and replace with numbers button which makes easier for visitors to navigate your blog. 4. 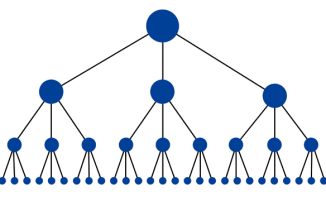 SEO Smart Links: – Do you know inter-linking the post improves overall blog pagerank? 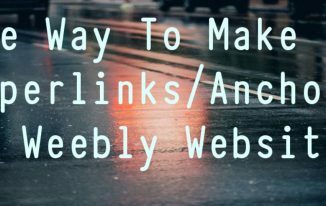 If you have been ignoring those inter-linking or gets bore to do so, then you can now let it be done with this great Plugin. It interlinks keyword to your other articles for you. 5. DiggDigg Social sharing: – This Plugin helps you to get a great sharing button for your blog (just like Mashable.com). It has got attractive floating features and looks, makes visitor loves to share again and again. 6. WP Touch: – Some standard themes doesn’t gets adjust for mobile browsers. So, it’s a advisable to have an Mobile version for your blog. It automatically transform your blog into application like theme and the Plugin works for all android, iPhone, iPod touch, Blackberry and etc OS Mobile Phones. 7. NextGEN Gallery:-Looking for a ways to customize your image gallery, don’t worry this Plugin lets you customize more than that. It has lots of features and is SEO friendly too. 8. WP-DB Manager: – This Plugin helps you to let Backing up the entire website database. It has quite few a functions but basically most simple and easiest one for using. The Plugin, after backing up e-mails about the entire process. 9. Google XML Sitemap:- If you want to index your blog effectively, better prepare a sitemap for the blog. This Plugin creates XML Sitemap not for Google but for all major SE likes Yahoo, Bing, Aol and etc. Sitemap makes easier for the crawler to see the complete structures of the websites. 10. Contact Form 7:- Simple but flexible, this Plugin lets you create a contact form as the name says. It is mostly recommended for new blogger because of its ease of use. Here, most of the Plugin are already in use in this blog and each of them are updated, so it can be used for WordPress 3.3.1 (latest version till date). The above 10 Best WordPress Plugins To Use are all my best Plugin and we highly recommends. If paraphrasingstool missed any other best plugin which are worth to use then Do share with Us..